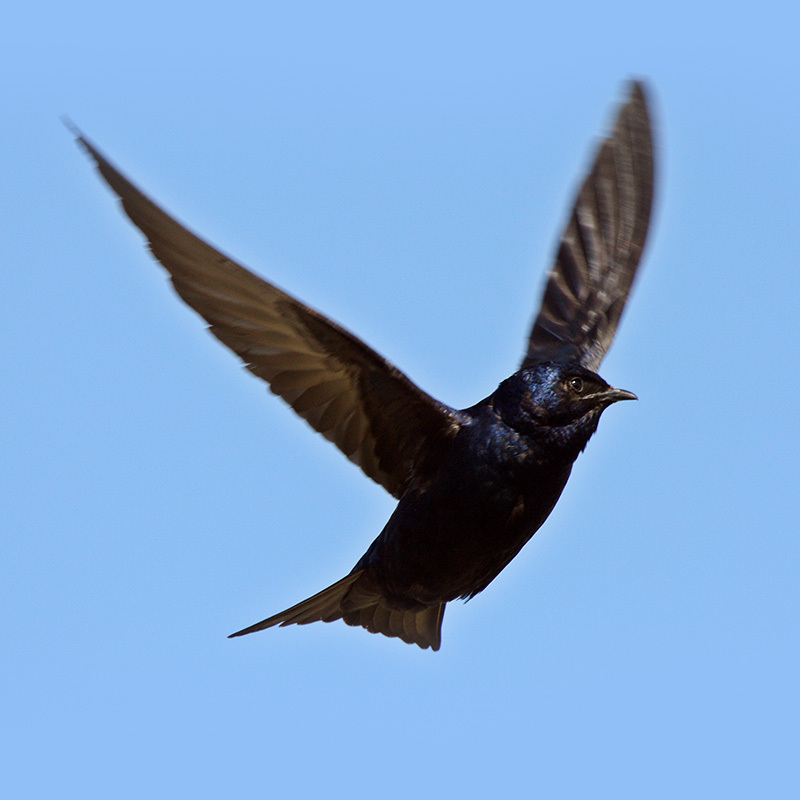 Join Wingard’s Naturalist and USCG Captain Zach to experience a once-in-a-lifetime viewing of purple martins at one of North America’s largest purple martin roost. During summer evenings, hundreds of thousands of purple martins travel to the 12 acre Doolittle Island in Lake Murray to nest. This little island (nicknamed Bomb Island from 1940s WWII bombing practice) attracts thousands of bird enthusiasts to witness this unparalleled event. Join us for an intimate, 6 passenger sunset cruise, where you can see thousands of purple martins up close and enjoy time on Lake Murray. Tours cost $35 per adult and $25 for children 12 and under. Tours depart promptly from Jake’s Landing at 7 p.m. and return at 9 p.m. We encourage you to arrive at least 10 minutes early so that you will have plenty of time to board. Note that guests who arrive late will not receive a refund or opportunity to reschedule. There is a $3 parking fee to park at Jake’s Landing and car pooling is encouraged. Chilled water will be provided on the tour, and you are welcome to bring beverages or snacks. There are restrooms at Jake’s Landing, but not on the boat. Lifejackets will be provided and are required to be worn by children 12 and under. Register online below or call 803-359-9091. In the unlikely event of inclement weather, we may cancel the trip 30 minutes prior to departure and will call the number you provide on your reservation to let you know. If a trip is cancelled prior to leaving the dock, we will reschedule the trip for the last week of August. If a trip is cancelled while the tour is underway, there are no refunds and no rescheduling. Reporters, professional photographers and media members can contact Wingard’s Market directly for more details and arrangement.